As a way of expressing our gratitude, for any gift of US$25 (or CAN$25, or €25) or more, we will send you the books Steps to Christ (see below) and Satan’s Confusing Counterfeits. Or take a look at our complete library: almost 150 books are available! Satan’s whole strategy is based on making people sin. He knows that nothing which defiles will enter God’s kingdom, and sin is one of these things. 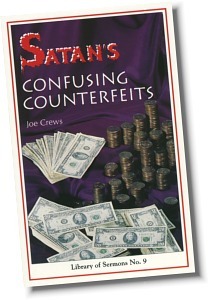 This striking book outlines the two main strategies Satan uses to cause even the most religious people to sin.